Granulation is becoming a really popular technique among jewellers, it's a great chance to experiment with detailed designs and texture. This ancient technique has now taken a modern approach and we can't wait to share some with you in this post! 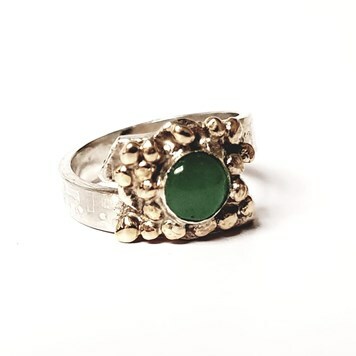 Granulation is the technique of applying tiny spheres or granules of metal onto a surface such as a piece of jewellery. Place pieces of fluxed wires into small depressions in a charcoal block to stop the balls from rolling away once formed. Heat the wires using a torch until they melt - you'll see them turn into spheres. 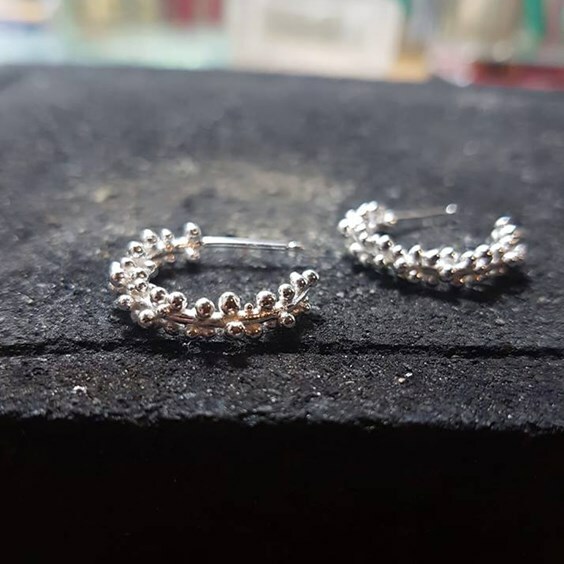 If you want them all the same size, you can use small jump rings. Pickle the granules in a jar and rinse them. Granules can then be fused or soldered into place. 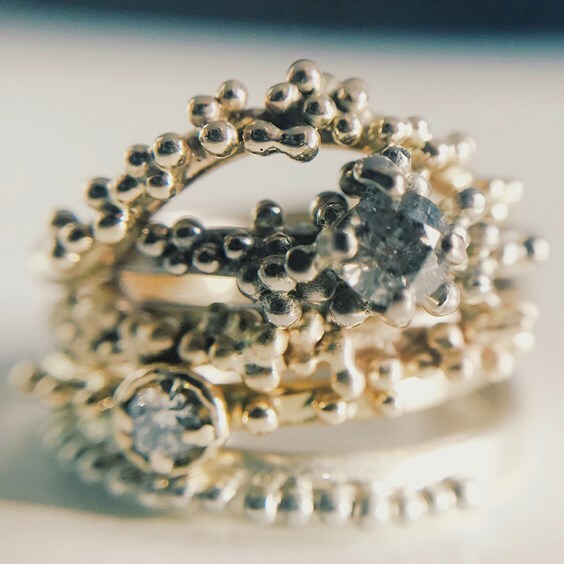 Sophie Cunliffe Jewellery - "I love that it's absolutely unique to every piece, and the processes involved in granulation are so experimental to the maker, it's so therapeutic forming granules. 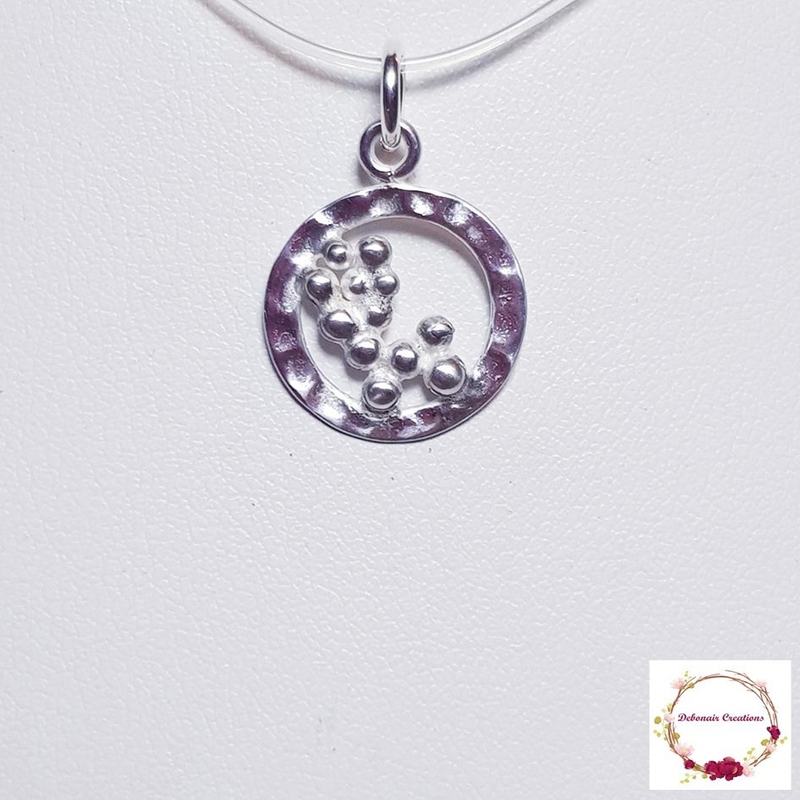 I really do love granulation!" Katarzyna Przychodzka - "Love experimenting with silver granulation." 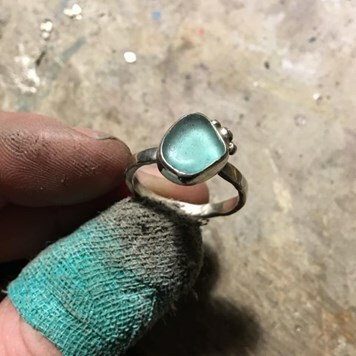 When Caitie Met Soda - "granulation has and always will make me think of tiny comets showering across the sky." Ula Jewellery - "I use leftover silver to make a piece a little quirky. 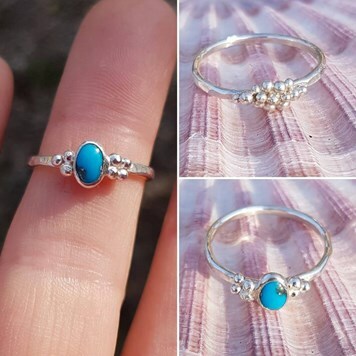 It’s a great way to cut down on wasted silver. 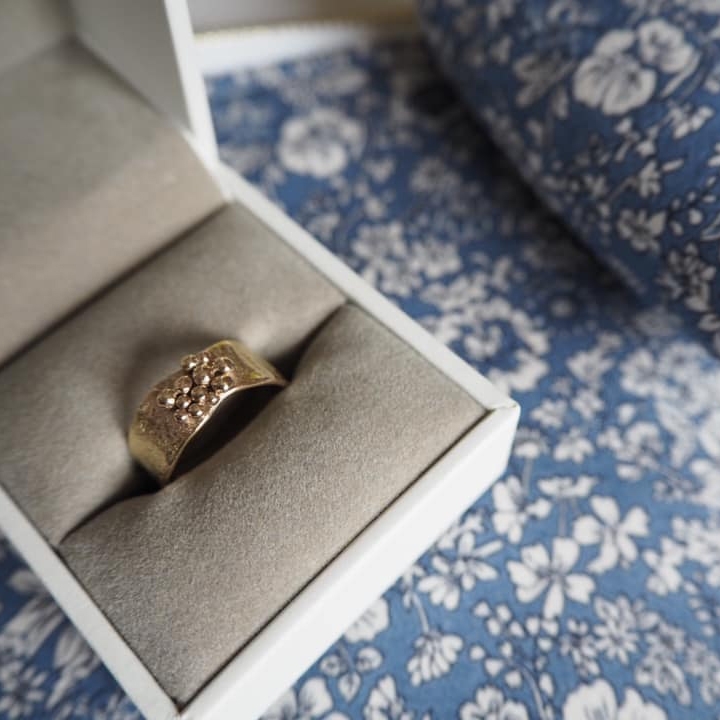 The little balls on this ring represent family members." Saffron Dilly's stunning turquoise gemstone and granulated jewellery rings. 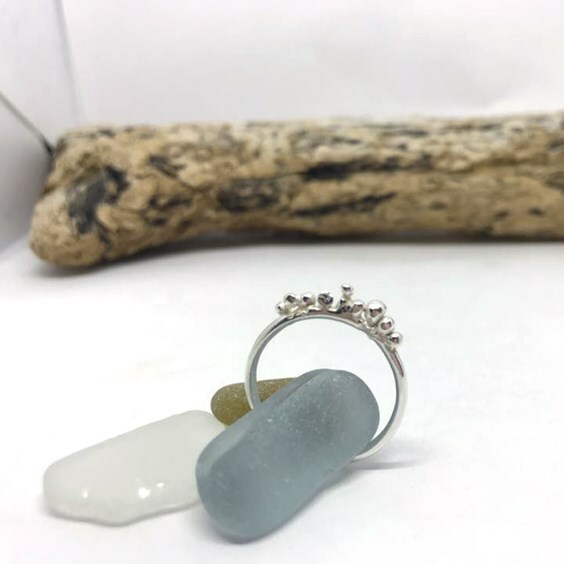 By The Sea Designs - "Granulation ring. I made this a few weeks ago." 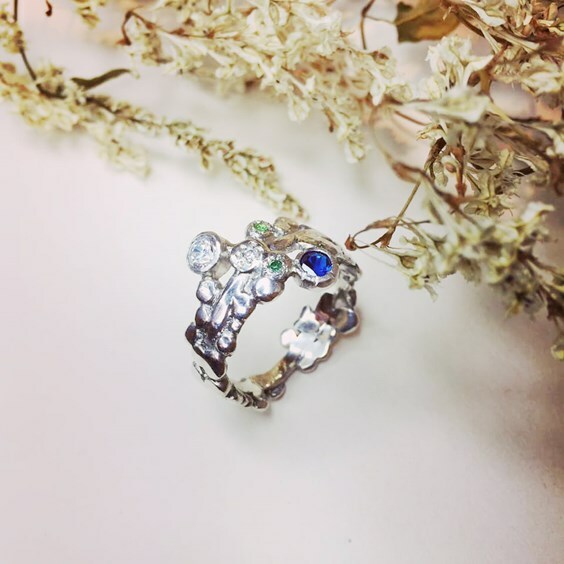 When Caitie Met Soda - " She’s lovingly handcrafted from a dream to reality. 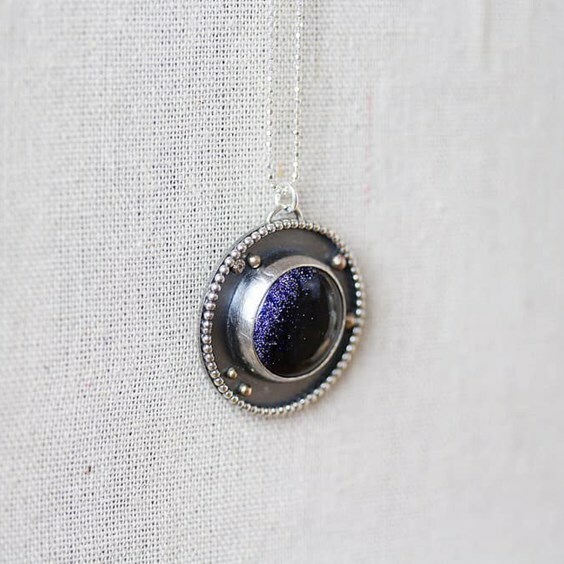 The dreamiest 12mm blue goldstone set in sterling silver with love. 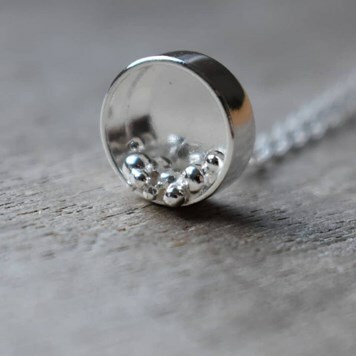 Six solid 9ct gold comets dance around her edges, as she hangs from the most beautifully delicate 18” Sterling Silver ball chain." 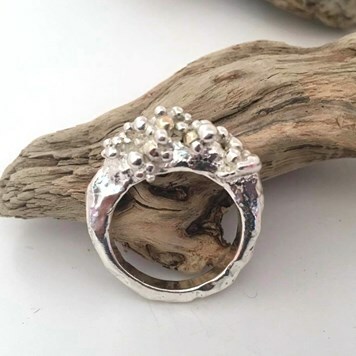 Knotted Rose Jewellery - "I love granulation, not only do I find making the tiny granules therapeutic but it's a fantastic way to use up silver that can often be discarded. It also adds amazing delicate texture to designs." A beautiful granulated pendant by Claire Skelton. 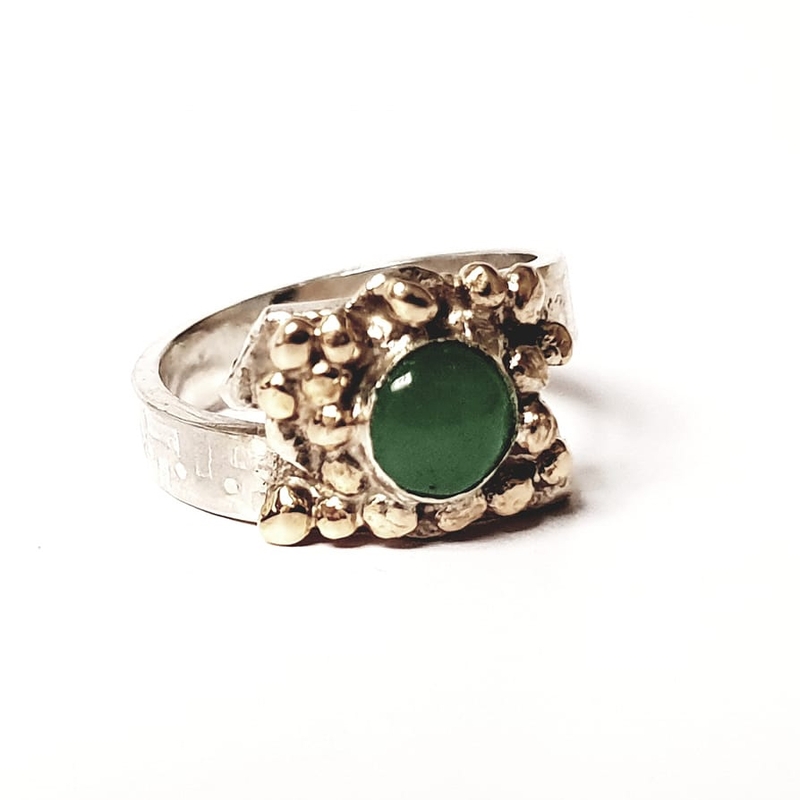 Lyn Eales - "Sterling silver & green aventurine with gold granulation." 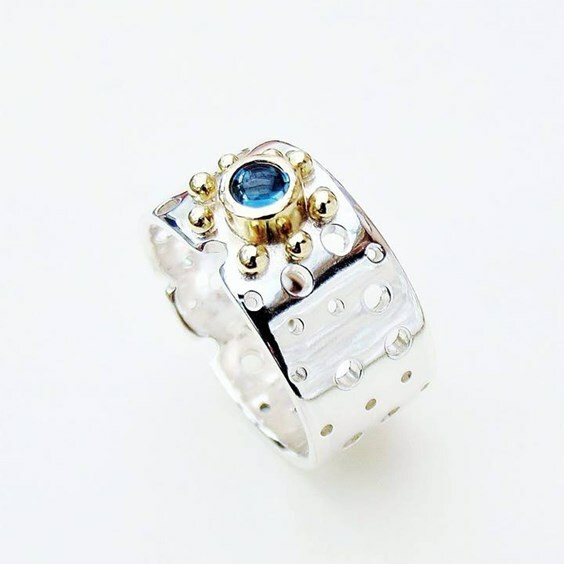 Erika Lipeikyte - "I love granulation because it is so beautiful!" 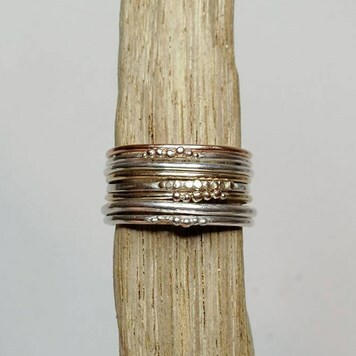 A delicate and beautiful sterling silver ring by Lilly Alexandra Handmade Silver Jewellery. Debonair Creations - "This was my first attempt at granulation a few days ago and it was so fun. I love the way the balls tell you where they want to go." 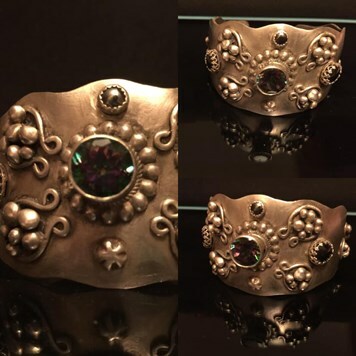 MMMJewelleryDesign - "A mystic topaz heavyweight sterling cuff with fine silver granulation." 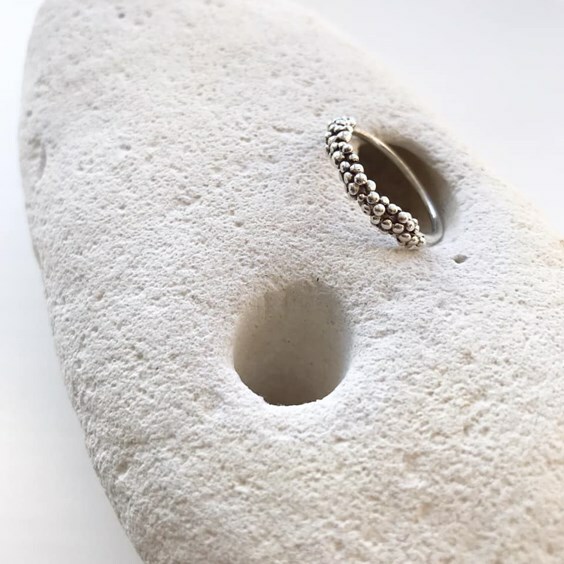 Silver Ripples Jewellery - "This one has evolved from my first carved wax ring that I disliked. I took the torch to it then added some bobbles, now I love how it sparkles."